Arrival at the rafting camp in the afternoon or evening hours. Wake up till 7.30 Hrs. Morning caffe; – breakfast include domestic specialties (ham, bacon, sausage, eggs, cheese, tea …) til 8.30 Hrs. Preparing for adventure, taking appropriate equipment. 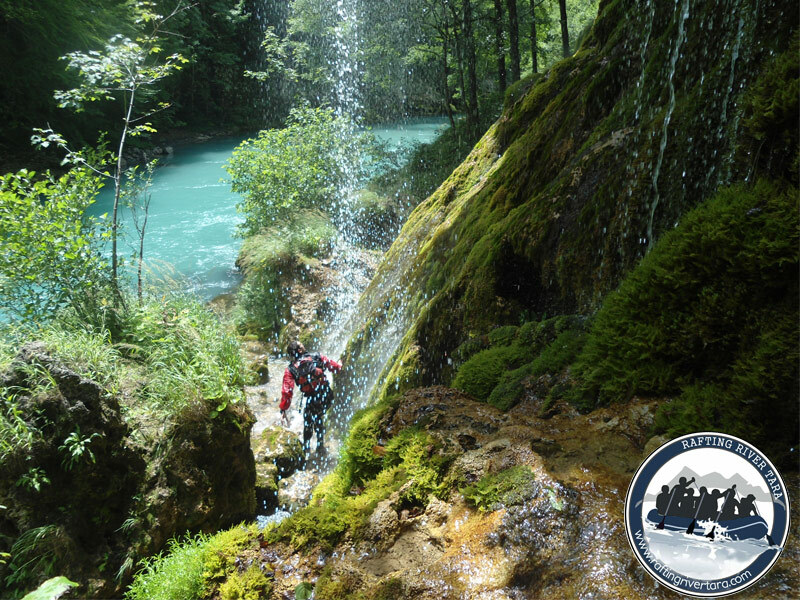 On a way to start point, we pass through the Canyon of river Piva, Piva lake well known as a Pivsko Oko (Piva Eye), short breaks for taking photos and enjoying in nature. Aival at starting point around 12:00 Hrs. Changing clothes and introduce into the rules have to be followed for safe passage through Nevidio. Passing through the canyon takes about 3 hours. Come back in the camp ” Sastavci ” till 18:00 Hrs. 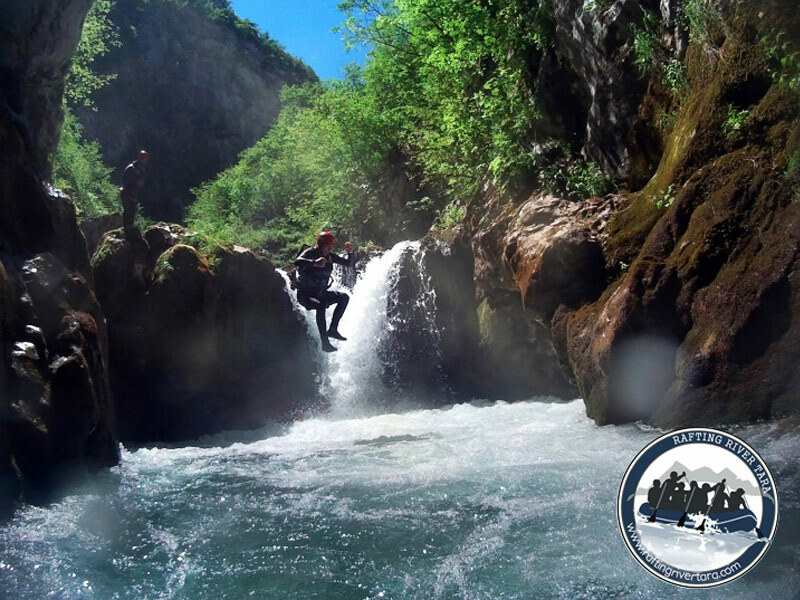 If You rafting coming in July, August or September wear som relaxing clothes: eg. sweat jackets, T-shirts, shoes or sandals, etc. If You coming in May or June, be sure to bring with You some warm clothes and a warm jacket. 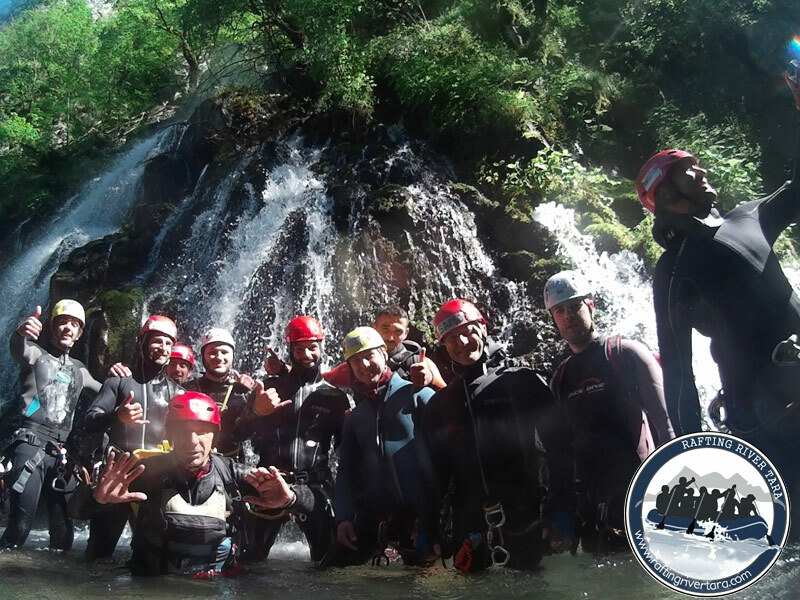 We have the latest equipment for canyoning, tested and produced by certificated world companies, that provides us maximum safety during the whole trip. 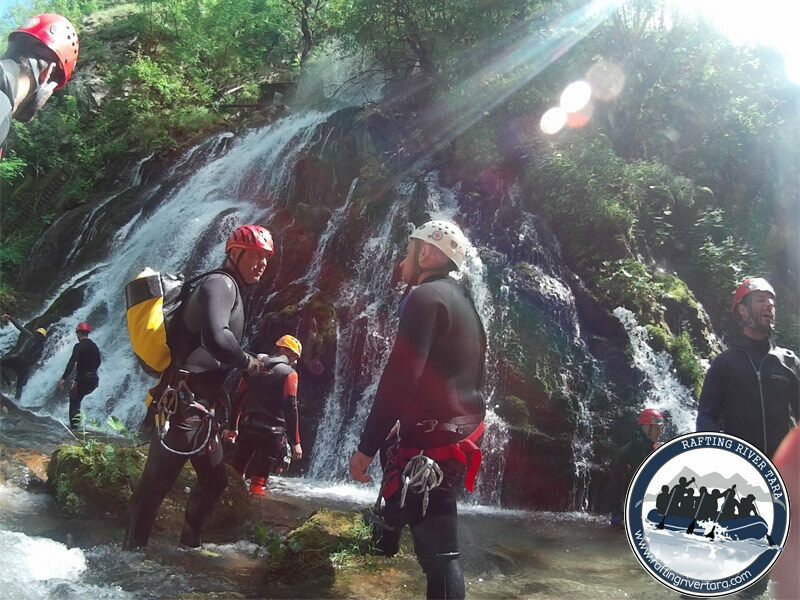 All participants have to take main canyoning equipment. In case of cancellation, the organizer is not obliged to return the advance.